...Before we discuss this aspect of the translation works of the 19th century onwards, a word would be in order about the role played by the unfortunate Mughal Prince Dara Shikoh (1615-1659), the Persian and Sanskrit scholar and poet and son of Mughal emperor Shahjahan in, first, providing the source book of the German Orientalism of the 18th century, albeit by default, and secondly underlining a tradition of the discovery of India through translations which would anticipate the contribution of Raja Ram Mohun Roy. 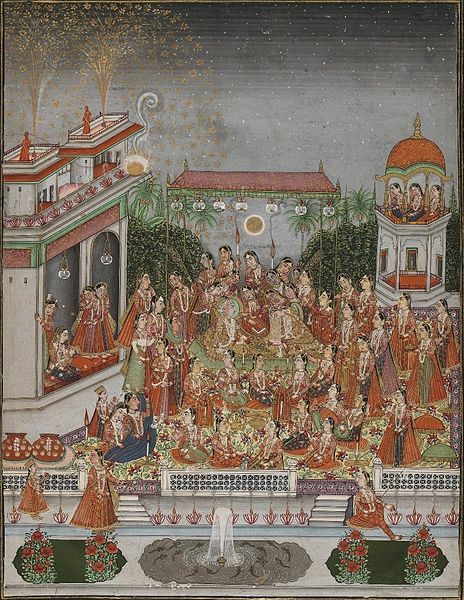 Dara Shikoh translated 50 Upanishads from its original Sanskrit into Persian in 1657 under the title Oupnek’hat with the help of Sanskrit scholars whom he called to Delhi from Benaras. 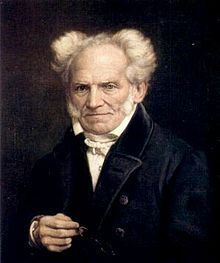 Schopenhauer (1788– 1860) declared the Upanishad as ‘the product of highest human wisdom’ setting forth further explorations in Indic studies as discussed above (Maurice Wintermitz, History of Indian Literature (Viol. I), first published 1904, (A new authoritative translation from original German by V. Srinivasa Sarma), Motilal Banarsidas, 1981, Delhi). Dara Shikoh, as a contemporary of John Dryden and also of the Christian missionaries who first set foot in India and established their connection with this country through translations as discussed above, utilized the unique position of translator as an interpreter of texts and contexts to explore a common mystical language between Islam and Hinduism. 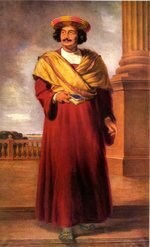 His translation endeavour was not motivated from the perpspective of romanticising India’s past, but as someone having stakes in the composite fabric of India, he addressed through his translations to the audience of his own country—a role that Raja Ram Mohun Roy (1772–1833) would perform in the changed scenario, though he also had added task of counter-communicating the same to the colonial rulers and Christian missionaries. …at about the same time when Schopenhauer in Germany was fancying to see his own ideas in the Upanishads of the Hindus rather than deduce them from them…in India…Ram Mohan Roy…found the purest divine faith in the same Upanishads and from the same Upanishads tried to prove to his countrymen that idolatory of the present day Indian religions was to be condemned, yet there was no reason for Indians to accept Christianity; and that they could, if only they understood them, find a pure religion in them.With the intention…that the best of what they (christian theologians and missionaries) taught was already found in the Upanishads, he translated into English a large number of the Upanishads and edited some of them in original text. How a particular text, Upanishads in the present discussion, can become a site of intellectual, cultural, religious and also political debate across time and space through translations in changing contexts is best exemplified here. In 1815, Roy also translated the Vedanta Grantha into Bengali from Sanskrit thus anticipating an altogether new trend of Sanskrit, Persian and later English texts getting translated into modern Indian lanaguges which further resulted in these languages becoming a vehicle of intellectual and social discourse.Through his translations, pamphlets and journals he helped evolve a modern and elegant prose style for Bengali, of which he also compiled a grammar.